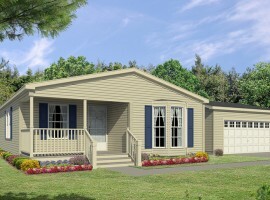 Rhodes Show Model – Clarence, New York 14031 | Rock Oak of Clarence - 55+ living that just makes sense. 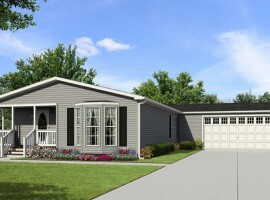 Rock Oak Phase Three is pleased to introduce The Rhodes, a new 1733 sq. ft. floor plan designed in response to customer requests for a roomier 3-bedroom layout. 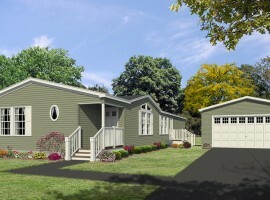 To showcase some of the design options Rock Oak offers, the Rhodes show model has been outfitted with an upgraded, 23′ x 24′ 2-car attached garage. The home as shown offers three bedrooms, two baths and 1,733 sq. ft. of living area. As you enter the Rhodes off the 6′ x 13′ covered front porch, you’re greeted by a roomy foyer with twin entrance closets – and a spectacular open view. A spacious living room flows into a large dining room, and then continues through the kitchen and into a generous morning room. The morning room is perfect as a sitting room or informal eating area. The Rhodes is truly a home with a smart chic! The kitchen is equipped with Whirlpool stainless steel appliances, including a refrigerator, dishwasher, gas range, and microwave, and features a 96” center island. Light comes from recessed lighting and a large skylight centered over the island. The extensive cabinetry, shown in a dark, English walnut tone, provides virtually endless storage. Sliding glass doors off the morning room provide natural light and exit onto a stamped concrete patio. The 15′ x 12′-6″ Master Bedroom is served by a spacious L-shaped walk-in closet with Freedom Rail custom shelving. The ensuite bath in the show model has been configured with a 60″ ceramic shower popular with the community’s senior residents.